Gilmorton Storage offer high-quality and secure container storage units and workshop space to the entire Leicester area. Whether you require storage for the long or short-term we are happy to provide and will work with clients to find the suitable units and facilities for your requirements. We want to ensure customers have complete peace of mind when using our facilities and that belongings are safe. Located on the outskirts of Leicester, our storage is easily accessible to you, but also secure against any risks that could arise to your belongings. With a wide range of sizes, we can find the right unit for your needs and ensure expectations are exceeded. Our storage units are available for both long and short-term use, allowing a flexible contract for you to move belongings whenever you require. Our workshop space sizes vary from 600 square feet to 2500 square feet, with containerised storage between 20 and 40-foot containers. All storage facilities are dry and secure, whilst only you have access to them through the one access point in our facility. Catering for all types of items, products and possessions, you can fit everything into our storage units and hire the right size for your needs. Throughout the use of our storage units, you will have easy access during our opening times whether you use the container storage for personal or business use. In addition to our storage, with 10 acres of workshop space on our premises, this is the perfect facility for you to grow or start a business. Each unit offers a different size and you have the choice of what workshop space you require. Multiple workshop space units can also be used for you to provide for your entire business and ensure you have enough storage space. 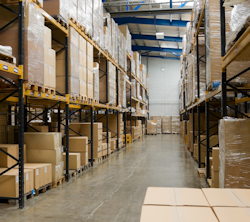 With space available at a good price, it can often save you money from hiring space elsewhere to store items or run your business. No matter what you require container storage for, you can transform every unit to be completely tailored to you. This makes it perfect for any use as any items can be stored and you can use the space for any purposes. Our self-storage management ensures we are in full control of every container storage unit. We monitor our entire facility very closely to keep it managed effectively and keep every client worry free. Our modern and high-tech CCTV systems cover every inch of our facilities and with just one access point, storage units cannot be accessed without recognition. Secure storage facilities are an essential whenever you are hiring extra storage space for your belongings. This is our priority as we want to ensure every client has reliable facilities to use when needing extra space. 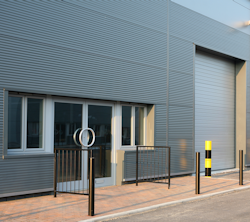 With a population of over 320,000 people, having storage facilities in Leicester can be very beneficial to everyone, including those in surrounding areas. Our location is situated just on the edge of Leicester and a ten-minute drive away from the A5, M1 and M6. This makes us an ideal base for any company to hire container storage or for personal use of storing belongings. There are many landmarks throughout the Leicester area, including beautiful architecture such as the Curve Theatre, King Richard III Visitor Centre and Leicester Cathedral. When working, living and visiting in Leicester, storage is a fantastic option for commercial and domestic reasons. With many places of interest throughout the city, using storage to help you settle in the area is a great choice. If you are looking for storage facilities in the Leicester area, there is no one better than Gilmorton Storage. We can offer the facilities you need in Leicester and surrounding areas to ensure every client can take advantage of our secure facilities. With easy access when travelling to our facilities, our storage units can be used for every requirement you may have. If you are in Leicester, travelling from the city to our facilities on the outskirts is quick and simple, allowing easy access to belongings during our opening hours. Gilmorton Storage aim to provide a personal service for all our clients, guaranteeing belongings are kept safe and dry, whether you require daily access to them or only need items occasionally. With the security systems we have available along with an on-site warden, belongings are always protected, making Gilmorton Storage a safe location to store your items. Storing vehicles offsite from your property and important documents that are not needed every day can clear up a lot of space. 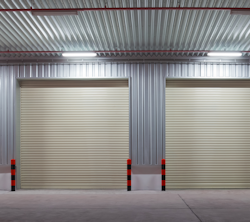 Having storage facilities that maintain the security of these items allows you to store them elsewhere without any risks. We are a family run business specialising in all types of storage to meet every client’s expectations. Our aim is to become the number one choice for self-storage and container storage units throughout Leicester. By offering a personal service with state-of-the-art security, we can achieve this and provide a high standard of service for every client. We have always helped clients in the Leicester area make use of our storage facilities and build your business through our workshop space or just keep belongings secure. Although we only have some reviews, we would love for you to leave feedback through our Facebook page or Google reviews! With secure and easily accessible container storage in Leicester, Gilmorton Storage is a great option for anyone who requires extra business or personal space. If you would like to find out more about the storage units that we available or would like advice on what we can offer, call our team today on 01455 209 209 or 07815 013 883. 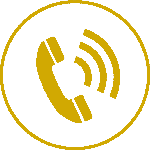 You can also make an enquiry through our contact form.